In the opening scene of the movie “Robot & Frank,” which takes place in the near future, Frank, an elderly man who lives alone, is arguing with his son about going to a medical center for Alzheimer’s treatment when the son interrupts him. “I brought you something,” he says to Frank. Then the son pulls a large, white humanoid robot from the trunk of his car. But as Frank soon learns, he doesn’t have much of a choice. His new robot helper is there to cook, clean, garden and keep him company. His son, mired in family and work life, is too busy to care for his ailing father. Just like Frank, as the baby boomer generation grows old and if the number of elderly care workers fails to grow with it, many people might end up being cared for by robots. According to the Health and Human Services Department, there will be 72.1 million Americans over the age of 65 by 2030, which is nearly double the number today. According to the Bureau of Labor Statistics, the country will need 70 percent more home aide jobs by 2020, long before that bubble of retirees. But filling those jobs is proving to be difficult because the salaries are low. In many states, in-home aides make an average of $20,820 annually. The technology is nearly there. But some researchers worry that we are not asking a fundamental question: Should we entrust the care of people in their 70s and older to artificial assistants rather than doing it ourselves? Sherry Turkle, a professor of science, technology and society at the Massachusetts Institute of Technology and author of the book “Alone Together: Why We Expect More From Technology and Less From Each Other,” did a series of studies with Paro, a therapeutic robot that looks like a baby harp seal and is meant to have a calming effect on patients with dementia, Alzheimer’s and in health care facilities. 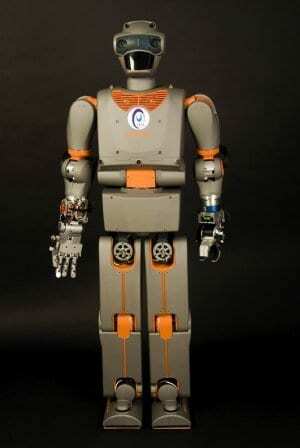 The professor said she was troubled when she saw a 76-year-old woman share stories about her life with the robot. “I felt like this isn’t amazing; this is sad. We have been reduced to spectators of a conversation that has no meaning,” she said. “Giving old people robots to talk to is a dystopian view that is being classified as utopian.” Professor Turkle said robots did not have a capacity to listen or understand something personal, and tricking patients to think they can is unethical. That’s the catch. Leaving the questions of ethics aside for a moment, building robots is not simply about creating smart machines; it is about making something that is not human still appear, somehow, trustworthy.